As you know, I love everything that has to do with Japan! So when the lovely people over at Tuttle Publishing send me yet another book on this amazing country, I dove right in. 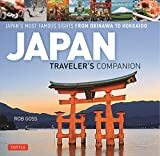 This book isn’t a travel guide, but instead, it goes deep into the country’s traditions, customs and etiquette that is in interesting and useful to know when you’re visiting or going to live in Japan. Boyé Lafayette De Mente was an American author, journalist and adventurer who wrote more than 100 books mainly related to the culture of Japan and the Japanese language. Actually, he wrote the FIRST EVER books on the Japanese way of doing business and introduced the now commonly used Japanese terms wa, nemawashi, kaizen, tatemae-honne, shibui, sabi and wabi to the outside business world. During the 1950s, De Mente served in a variety of editorial positions with publications based in Tokyo, including Preview Magazine, Far East Traveler, and The Japan Times. Boyé Lafayette De Mente sadly passed away in May of 2017 in the US. He was 88. Another book we reviewed by this writer is: ‘Etiquette Guide to Japan‘. The book has been completely revised and expanded by Geoff Botting who has lived in Japan for over a quarter century, witnessing Japan’s economic bubble, its bursting, and the changes that came in its wake. He is a freelance translator and a print and broadcast journalist specializing in business. According to the author, there has been plenty written about the unique traits and talents of the Japanese, but there hasn’t been much explanation where these characteristics come from and how they became an integral part of the Japanese culture. And that is exactly what this books does. It dives deep (real deep at some points) into the history and modern ways of the Japanese culture. One of the most important elements of the Japanese culture that the book goes into is something called ‘shikata‘. the word means ‘way of doing things’ and has a special emphasis on the form and order of the process. ‘Kata‘ by itself is usually translated as ‘form’. I found it really interesting to learn more about this part of the Japanese culture, as I hadn’t heard about it before. All of the kata that the Japanese use in their life is also referred to as ‘The Japanese Way’. The second important element of Japanese culture that I’ve learned about in this book is ‘wa‘, or ‘harmony’. Not only harmony in the sense of balance in general, but also very much so a social harmony (personal, business and political), based on following proper etiquette kata in daily behaviour. Throughout the book, there are a few black-and-white photos to illustrate some of the topics covered in the book and break up some of the sections, but the majority of the book is text. I must say that I definitely enjoyed the first part of the book much more than the second part, because the first part is more about the history and daily life of the Japanese, where the second part really goes deep into the cultural differences between the Japanese and Westerners when doing business. This second topic is just not so interesting to me personally, because I have no intention of working for a Japanese company, and I feel most of it could have been a separate book altogether. But it was interesting to get a bit of understanding of how difficult working together with Japanese companies can be. In the first part of the book, my favourite section was about the unique Japanese elements of their culture, such as the handicrafts, kendo (way of the sword), tea ceremony, sumo, poetry, theatre, and so on. It was interesting to also learn how the teachings of drawing Kanji characters also gave the Japanese a highly developed sense of harmony, form, and style and therefore a deep understanding and appreciation of aesthetics, something that really fascinated me during my visits to the country. What I liked about this book, is that it’s not just focused on the positives of the way the Japanese culture has developed, but the author also critically looks at some of the more negative results of their behaviours and the conflicts that the interaction between Westerners and Japanese often have. From dealing with tourists, to expats and people they’re doing business with, there is a different form of how the Japanese interact with everyone, which is something I didn’t know so much about and definitely got a better understanding of because of this book. This book is great for everyone that is interested in the Japanese culture and wants to go beyond the surface of this fascinating country and its people. Especially if you have plans of living in Japan for a longer period of time and/or working with a Japanese company, this book is definitely a must-read. Disclaimer: I received this book for review purposes from Tuttle Publishing all opinions are 100% my own, as always. Next articleOne Day In Bath, England? Complete Guide To A Perfect City Break! Awesome review Nienke. I learned how Japan is so different from the rest of the world in many regards from my wife. She taught English in Hiroshima for a year. She loved it and noted how Japanese culture is a 180 from the US in many regards. Deferential folks, emphasis on community….definitely a change up from my loud, individualist US neighbors LOL. Ahw, that must have been an amazing experience! I still would love to live in Japan for a while. One day! This seems like such a good read, its fascinating to see the differences between cultures.